Martian dust devils sometimes disrupt thin coatings of surface dust to create dark streak patterns on the surface. However, not all dust devils make streaks, and not all dust devil streaks are dark. In Syria Planum, the streaks are lighter than the surrounding plains. 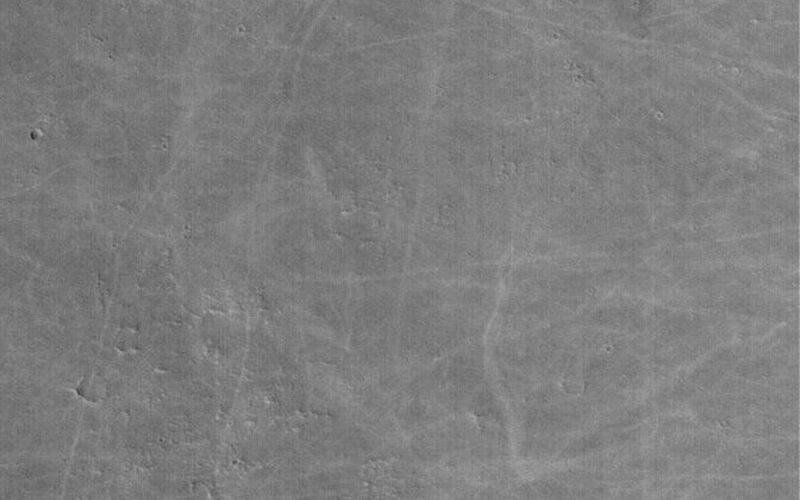 This Mars Global Surveyor (MGS) Mars Orbiter Camera (MOC) picture shows an example from Syria near 8.8°S, 103.6°W. 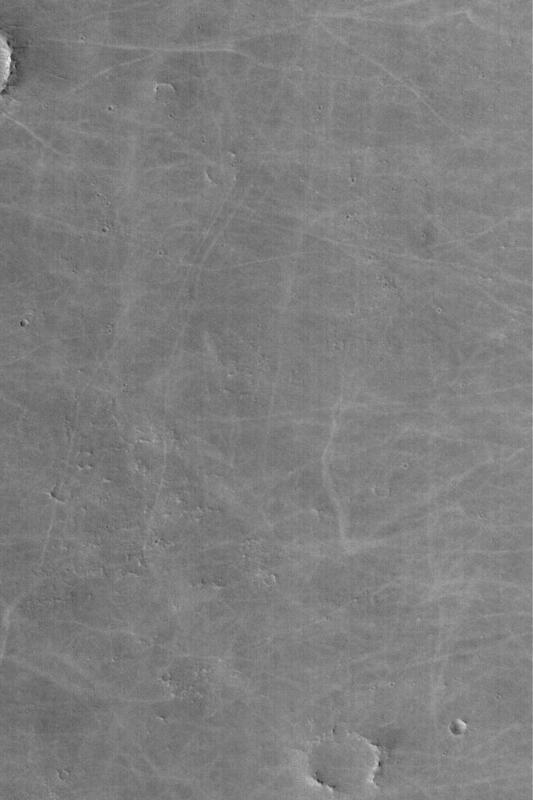 The thin coating of surface dust in this region is darker than the substrate beneath it. 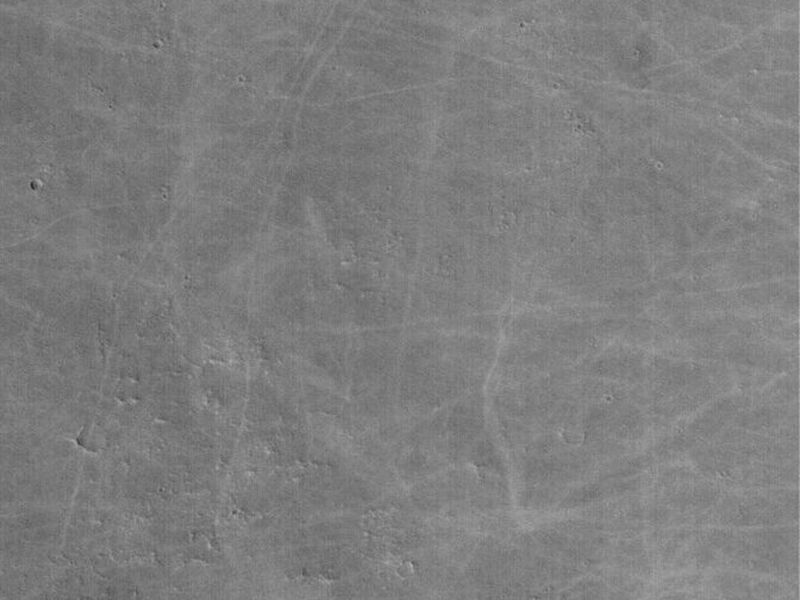 This is fairly unusual for Mars, because most dust is bright. 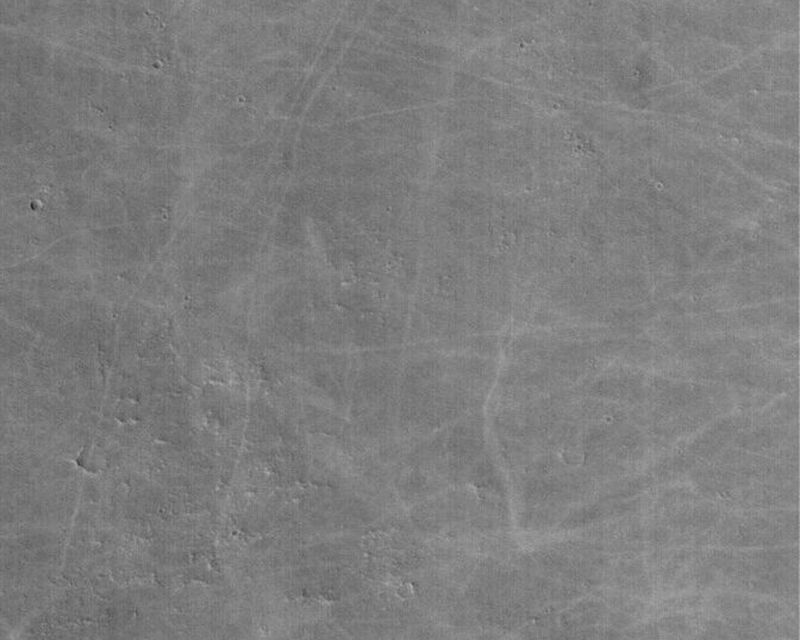 This image covers an area about 3 km (1.9 mi) across and is illuminated by sunlight from the left/lower left.